As indicated by a report by TheCable, the Islamic Movement in Nigeria (IMN) says the armed force can't confront its individuals in the event that they had weapons. The gathering made the remark on Monday amid a question and answer session on the ongoing conflict among officers and its individuals in Abuja. 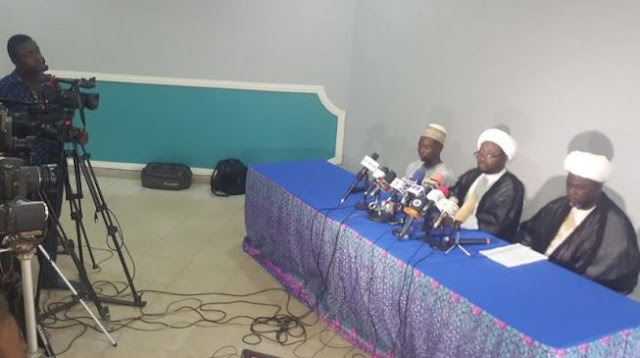 Abdullahi Zango, the pioneer of the gathering, said the announcement issued by the military and police over the executing of Shi'ites were "created lies concocted to cover their abominations". He blamed the fighters for assaulting helpless nonconformists. Zango stated: "They keep on saying that we are furnished, this is an unmitigated lie. On the off chance that we are outfitted, Nigeria armed force can't confront us. "On the off chance that we have weapons with us, Nigeria armed force is too little to confront us. With our strength and curtness, with void hands, they are fleeing from us talk less of when we have arms. "They realize that we are not equipped in light of the fact that they are weaklings." Zango additionally blamed the police for planting people with arms among the Shi'ites in an offer to implicate the gathering. He said the development has paid N8 million as healing facility bills for 106 Shi'ites who are getting treatment at different doctor's facilities in Abuja. He noticed that an extra N25 million will be expected to cook for different losses who are as yet recovering. He said the aggregate number of people slaughtered by the security specialists is currently 47. Zango included that the gathering does not lament tossing stones at the security operators amid the conflict, saying it is the main weapon of the vulnerable. He stated: "The circumstance of tossing stones at them, yes it is the weapon of someone who isn't outfitted." The Nigerian armed force has been condemned over the treatment of the quarrel by its troops. The executing of Shi'ites has been denounced by numerous Nigerians and rights gatherings, including Amnesty International, which blamed the troopers for "terminating live ammo to scatter a quiet assembling all of a sudden". The safeguard base camp as of late issued a crisp cautioning to the Shi'ites, saying "we don't have elastic projectiles when we are sent on assignments". Ibraheem El-Zakzaky, pioneer of the IMN, has been in the guardianship of the Department of State Services (DSS) since December 2015.